March | 2016 | Illuminations Now!! By conjoining both sides of the Autonomic Nervous System, cannabis ‘enhances’ both sides of the brain and allows for more (and cleaner) blood to enter. Thus, the mind becomes clearer and creativity is enhanced. Since it works on both sides of the brain and unites the intellectually sharp right side with the creative, artful left side, it allows for relaxation and meditation or active, inspired creativity depending on the user and their intention. It works differently for everyone, and some might not feel as clearheaded or inspired as others. Cannabis can energize you, make you alert and even give you strength, and most people don’t understand that with this plant, there is no ‘either/or’. It can relax you and energize you; again, depending on your mindset and a few other factors. I suppose it comes down to what you want to get out of it. If you want meditation, meditation is what you’ll get. If you want more energy, then you’re likely to get it. Or maybe you’ll receive both. Here’s something interesting you might not know: Cannabis has been used by exhausted laborers in warm places for centuries because it gives them energy. You might think of caffeine before you’d think of cannabis for energy, but again, since it acts as a stimulant and a depressant, it can be used for either purpose. Many laborers also use it to stimulate their appetite and produce the feeling of wellbeing you’d probably need if you spent your day working under the hot sun. This plant can help you whether your work has to do with labor, creativity or anything else, and the fact that marijuana calms the body and unites the brain’s two hemispheres explains its effect on creativity. Expansion of consciousness is apparently defined as unity between the opposite sides of the brain, which creates balance where there was only duality and one-sidedness. 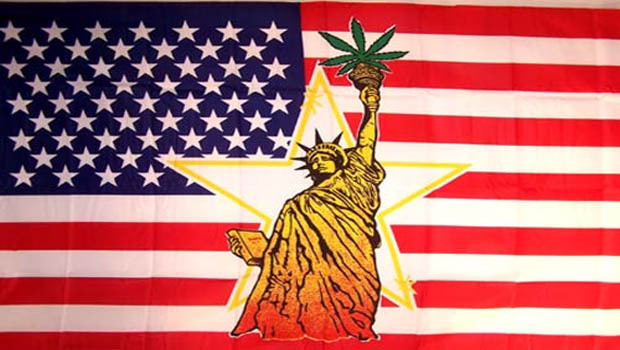 Since activity in both sides is enhanced under the influence of cannabis, the intellect and the spirit are effectively united. Uniting the opposing forces within us could very well be the first step to spiritual awakening and enlightenment. Since marijuana only does this for the duration of the high (ignoring for now the long-term psychological and spiritual benefits), it might be best to find a way to make the experience permanent; meditation would likely help. By producing alpha waves, marijuana can also shift us out of a worried or distressed state and into a calm state, free from our cares and concerns. It seems to have the opposite effect for some people, who get paranoid, anxious and uncomfortable when they use it, but this could have to do with its illegal status and the fear of being caught. It obviously isn’t for everyone, and I wouldn’t recommend it if it makes you anxious instead of calming you and opening you to your creative side. Cannabis is good for the mind, body and spirit. The propaganda routinely aimed at it is intended to demonize it and diminish its value, but despite that we’re finally seeing through the lies, we’ve only decoded a fraction of the mystery behind this phenomenal plant. Now that people are realizing it isn’t the menace it’s made out to be, they’re standing up for it and raising awareness of the ridiculousness of the laws surrounding it and the fact that the laws need to change so we can utilize everything this plant has to give. People of every generation are doing the research, thinking for themselves and changing their perspective on a plant that’s been demonized for the purpose of profit and the suppression of our right to use what nature has provided. They’re working hard to raise awareness in hopes of reaching those who are still in the dark about what cannabis can do, and they’re prepared to take criticism because they know it’s inevitable when standing up for something society doesn’t accept. Cannabis is liberating the minds of people everywhere who used to think it was a dangerous drug but are now realizing that even though it isn’t for everyone, it drastically improves the quality of life for many people who use it. No matter what ails them, cannabis helps them with their pain and, from a spiritual perspective, introduces them to meditation in the process. It gives them access to higher states of consciousness wherein the duality with which we’re so fascinated (good and bad, right and wrong, love and hate, etc.) come together to form pure oneness, and this state of being isn’t as easy to maintain with natural meditation. Many users don’t realize it, but the cannabis ‘high’ is a form of meditation that has multiple uses. It can be used to induce meditative sensations and visions if you let the mind rest, drift away, perhaps close your eyes and let the spirit reveal itself, or it can be used for creative inspiration. If used to enhance creativity, it should be kept in mind that nothing, including cannabis, is required to be creative. If you start to rely on it, then it might be best to reconnect with your authentic, effortless creative side. If you do, you’ll find that it can express itself through you in a flowing, natural way. While it isn’t required, cannabis can stimulate creativity by opening the mind to a less distorted state of awareness and establishing a clear connection with God, the higher self, a spiritual guide; different people interpret the inner voice in different ways. I like to think it’s a connection with God, but I can’t say for sure because I don’t know. I do know that it’s incredibly positive, helpful and nourishing, and I’ll continue to try to channel it into these writings. Cannabis has helped a lot of people discover this peaceful yet vibrant inner space, and an open mind is all that’s required for a simple ‘high’ to become a transformative experience that educates your heart and brings you closer with your soul. Here, we’ll explore some of the ways cannabis helps the mind, body and spirit. You could write report after report about it and still have more to write, and thanks to the growing awareness of its usefulness, new information is pouring in every day. There’s so much information out there about a fascinating plant that, in my opinion, is important to the future of humanity, and I look forward to dissecting and discussing it all as it comes out. According to the website Benefits of Marijuana, cannabis balances out the Autonomic Nervous System, creating a feeling of equilibrium. This alone contributes significantly to health, and if marijuana’s medicinal benefits weren’t enough, we can add psychological well-being to the list. 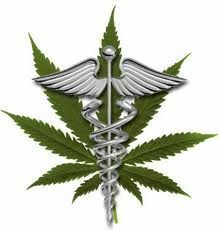 The body tends to alternate between two opposite modes of being, and remarkably, marijuana unites them. This contributes to the feeling of well-being, and again, it unites the polar opposites within us and creates spiritual balance as well as physical. Cannabis unifies these different forces in the brain and body, but only temporarily, which is why it helps to learn oneness naturally. I’ve found a passage from a credible source that confirms something absolutely basic to my perspective on spirituality. While researching an article on balance, I found support for the view that the Third-Dimensional existence of male/female/child and the nature of their interaction reflects the highest truths of the sacred Trinity – the Heavenly Father (Brahman), the Divine Mother (Holy Spirit), and the Divine Child (Self/Christ/Atman). I’m as excited as a child enroute to Disneyland for the first time. Are we there yet? I’ve asked the Divine Mother, Archangel Michael and Shankara different questions – on sahaja samadhi, the gunas, the Trimurthy, etc. – but I never asked anyone to confirm that males, females, and children, especially in their vital activities together such as procreation, model what happens at the highest levels of reality. What is it that happens? I’ll give the higher-reality version and you can correlate it to the physical act of procreation. The Divine Mother built the world to fulfill the Father’s request that he be known in a very special, deep and direct way. He devised a plan. He would transform himself, who is still and silent, into what came to be called the Mother, which is the Father with movement and sound. He intended to plant a Spark of himself in a body prepared by the Mother (starting to sound familiar?) and then leave that seed to grow. Here we may remember Solomon writing: “Wisdom hath builded her house, she hath hewn her seven pillars.” (4) That house is this body; those seven pillars are our seven chakras. Once that house was built, the Father planted his spark in the heart of the created form. This is the treasure buried in the field of the heart, the pearl of great price, the mustard seed that will grow into a great tree in time. In the womb of the Mother, the Divine Child grows through lifetime after lifetime, passing from unconsciousness of self to consciousness of self to consciousness of Self, to full heart consciousness, and so on, past this Ascension and that, to the point that the Sparkness of the Spark stands fully revealed. Nothing else is now there. No illusion clings to the Spark any longer. Enlightenment is the knowing of the Father in a very special, deep and direct way. When Self meets Self, God meets God. And that’s what he wanted to have happen from the beginning. Every instance of enlightenment is a moment when God embraces God. For that meeting did the Mother design this whole world. Both the masculine and the feminine energies carry “unique gifts and energies.” Hmmmm…. Taken together they “manifest the Divine Idea designed and created in the beginning.” Hmmmm… Hmmmm…. This is that Divine Idea. Every time I give a gloss of that 1987 vision, I know I’m touching on the original Divine Idea, the Divine Plan at the highest level of abstraction, beyond which nothing positive or negative can be said. (2) The Arcturian Group, June 16, 2013, at http://www.onenessofall.com/Welcome2.html. (3) Simply knowing that as intellectual knowledge will not help us. It has to be known as realized knowledge. And even then, there are degrees of depth. To hear the show, visit here. Linda: The Mother is talking to us about being in her New Time and this whole idea that we are skipping on the tips of the wave, as it were; that we can dip in here, there or anywhere. I really do have that sense in some ways that time and the flow of time have taken on a whole different dimension, quite literally. Linda: No way out, yet there is a way out. We had the Chakra Balancing/Clearing/Expansion webinar on the Equinox, so I want to thank everybody who tuned in – 17,002 of us! I think, like you said Suzi, about there being 7 billion people on the planet, but I really felt it. It is a walk of trust, but your heart, your mind, your being also knows that this is a walk of true, not merely of truth but what you know to be correct. Correct not only for you, for yourselves, for the collective – it is a walk that is true to the Mother and to the design of Her Plan. When I use this word true, yes, I mean alignment but I also mean unfoldment. Now, there have been times when you, each of you, have taken this proverbial scenic detour and you have wandered off to explore. But even that, my beloveds, is being true to yourself. We did not ask you, the Mother did not ask you, you did not say, “Let me go to this wonderful planet Gaia and let me be an automaton, let me be robotic without freewill. No. Think of it in this way. The Mother is singular and yet the Mother is All. Now you are of Her pattern, as am I, as are All. And what does that mean? That you are singular but you are All. And so I am encouraging you, I am requesting, I am asking in your beingness to also more deeply connect – and yes, you may do this through the Violet Flame – with your sense and knowing and existence of being All. So when you surrender that need to know, you in fact have taken a quantum leap in your spiritual self, in your spiritual understanding, and you have reached that place of true because you know it is a Divine Unfoldment and it is in order. I have been now at home again since August 2015 when after some bypass surgery in 2014 I has stroke and amid recovery and day-clinic with rehabilitation exercises at night at home fell down and broke my left hip. Again the ambulance drove me to hospital where I had another surgery. Some weeks in hospital and starting exercises all again. Day clinic was programming my days while for the time being they put me up in a nursing home for elderly people. All this confronted me wirh spheres of life completely new to me. All institutions had some alike people to care for including me. And everywhere were these invalid people which cared mostly to get better but with the exception of the nursery home. The time off at the day clinic we ser on our fixed places at tables of four and there was a peculiar stillness among us. There were no talks abour one`s life, no communication if personal desires or worldly events, nothing but hospital job talk and the latter only little. I spent there three weeks and the only joy I had in the Handicraft Hour where they taught us to paint on cotton bags with particular paint. And we painted silk-shawls which delighted me. And then there was the Nursing Home. In the middle of the own near by a 14-storey house where earlier in my life I lived about 20 years. Here in the Nursing Home it was even worse with the stillness. Even the people without shortcoming did not speak and took their meals without much words. I tried to make some conversation but without much use. So I tried to help everywhere I could. to feed the disabled etc. I had a ladyfriend there who was also a contemporary one. She sat beside me at the table in a wheelchair and suddenly her old trembling hand shove her empty cup towards me. I looked at her delicate fine features in her face and I knew all of a sudden what she wanted- we understood each other just looking. I took her cup and made the nursing personnel make her a fresh cup of tea. I took the old wrinkled hands of hers into mine and both of us felt some happiness. An other day we met her accidentally in the long floor and I said to her:”Hello my girlfriend” and she took my hand and replied: Every time I see you I feel joy in me!” These happenings make me still happy. Most of the other ladies did not know to find some words and spent their time lining up with their wheelchairs along the floor only with so little talk. As I had foreseen this kind of spending the days there of my companions while I spent my days still in the day clinic I started drawing there pattern of flowers from the pattern book in order to knowing what to do when my time in the nursing home would come. So I spent the days there in my room painting. Later I went to a nearby shop and bought glue and the daily newspaper. –after finished painting the pattern of flowers I started to accumulate Collages and water-coloured them, I tried to show all my finished works to the other ones but found only little interest. If it were the other way round I would have started alike hobbies with those interested. But it seems they had given up already interests of former life or occupations. So I tried to display unconditional love around me but still now their faces and gestures haunt me and I think quite often of those elderly people with so many shortcomings. They live a live besides all other of us, they do not go out very often as if they fear it. Being at home again I feel having striped off all depressing vibes and low frequencies and all I am reading now of channels and published posts are about unconditional love which on hand of my -experiences too are represented as essential in this period – it is essential that we carry this kind of love in our hearts and minds as it is godlike and make us mature for ascension. With so much love to all! You project aspects of your consciousness into many different timeframes, simultaneously. You, at the human level, receive information from your other selves, in different amounts and at different moments, as you need them. There is much more influencing us than what we recognize. ‘Time’ is one of the great mysteries of life. It is something that tends to lock us up into a thought structure of linear and sequential thinking. Well, we create our reality by what we believe is true, right? Okay then; let’s open up into another possibility that could alter the course of our life tempo quite dramatically. In cosmology, there is a concept called “space time’ that combines space and time to a single abstract universe. Space-time is the fusion of space and time and its theories suggest that there are many dimensions of space. The duration of time can vary within these dimensions according to events and specific points of reference. Many physicists do not regard time as a “passing” or that time is a sequence of events that occur. Instead, they see that time is malleable and all is actually happening at the same time. What if we are really living a life, not bound by time, but empowered through a simultaneous existence? What if all was fused together as a singularity and as part of a single seamless influential entity? The Company of Heaven often talks about balance. They say some actions balance karma. They tell us that peace will come when energies balance themselves. They ask us to remain balanced. What’s the significance of balance? I’m looking at the question in a series of articles I’ll be writing but I’d like to state some initial impressions, if I may. For me, things in a system coming into balance causes them to cancel each other out. Whatever was problematic in the imbalanced state ceases to be problematic in the balanced state. The problem disappears. And it remains disappeared as long as the system remains in balance. Conversely, if problems arise, it may be because something has become imbalanced. To say “balanced” is, for me, to say staying in the center, in the heart. But we don’t generally seek to reside in or know or explore the secrets of the heart, in our society. “The Frequency of Abundance … is Powerful, Pure and Clear, and, when you are aligned with it, everything in your life flows with Grace and Ease. But, in the present time, most people are unable to find this Frequency fully, seeking for it outside of themselves, and not in the Heart, where it is anchored and from where it Flows. For me, the balance point, the center point is in the heart. If we were to see a vortex of energy going both ways – in and out of the heart – I think that’d be about accurate. As far as I can make out, the heart is the doorway to higher consciousness, higher dimensionality, enlightenment, etc. It certainly is the doorway by which love and bliss come down from higher dimensions to me in this everyday realm where I live, whatever its dimension. To be in balance is to sit before the doorway of the heart and wait for it to open. Once it does, one can fall deeper and deeper and deeper into it, possibly forever. Heart consciousness is the state our consciousness is in when soaked with love. Perhaps we should call it love consciousness. This domain opens up for us once our hearts are open. Androgyny is a balance between male and female energies. Equanimity is a balanced temperament. Tranquillity is what issues from that balanced temperament. Balance opens door, usually to another, higher realm. The place of absolute balance is also, I believe, the place of absolute stillness and silence. That’s the Father’s domain, the Transcendental. My hypothesis is that balance and heart consciousness lead us to the silence and stillness of the Father. Now to do more research and test that working hypothesis out. And other hypotheses about balance. (1) “AA Michael about The New Earth Energies April 2013,” through Celia Fenn, April 22, 2103, at http://www.starchildglobal.com. Let not your thinking and over-thinking be a handicap. Let your thoughts be blessings, one after another like beautiful princesses. Bless your life and the lives of those around you. This is how you become a blessing. You are My blessing given to yourself and to the world. You come from Heaven, and you return to Heaven. Despite your mix-ups, you have never left Heaven. You belong in Heaven. Despite anything, Heaven is yours. Desist from fear. You are not fear’s captive unless you say so. You can stop dueling with fear. When you carry the anxiety of fear, you tie your hands behind your back. You let fear immobilize you. Put fear in its place. There are a lot of My children under the grip of fear in one form or another, yet life -your life – is not meant to be fearsome. You don’t have to live with the anxiety of fear. It is not essential to imagine fear. You have the ability to put fear in its place. Mull over immortality more than you mull over clipped mortality. No longer is it incumbent upon you to fear being mistaken any longer, nor are you to fear embarrassment any longer. You don’t have to fear being alive. You can flow with love and love alone. Love has no equal. You have the capability to love like an adept. Love is within your reach. My beloveds, what can We do to get you off fear and onto love? The fear track has made a rut in your heart. Come to the fertile fields with Me, and We shall dance. How did it happen that My children allowed fear to become such a hobglobin? Say, “Boo,” to fear. You who fear fear have been too great a proponent of it. Be harmonious with yourself. Support yourself more than you fear fear. Cross the street by looking both ways. Venture in life by looking up. Fear is a gnat. You are greater than a gnat. I certify you as greater than a gnat. Imagine that I place a sheriff’s badge on you. I ask you: Do you really need a badge and cowboy boots in order to arrest the progress of fear? No, you don’t. Fear is a criminal. Look fear in the eye. Do not cogitate fear. Do not drench yourself in fear. Cut off fear at the corral. Let’s talk about the state of love. Love instead of fear. Love is powerful whereas fear is skulking. Hurray for love which unites all the flowing waters of the world. Oneness is true. Fear is a sluggard. Vote for love. Embrace love. Fear is up to skullduggery. Enough of preoccupation with fear. Put fear aside. Let’s evacuate fear in the Name of Love. Fear takes away. Love gives. Give love. Send love. Cherish love. Love is of good account. Love will carry you. Love will carry the day. In Truth, it is love that carries you up and down the mountains. Love furbishes you. Love lifts you. Love lifts the world. There is naught but love in all the world. Love is Oneness, and Oneness is True Existence. Think of it, you are Oneness. You are My Oneness. Oneness cannot be diversified. Awareness of Oneness centers you, and how you want to be centered. Be centered along with Me. Know that I hold you. You can only wind up with Me. Come to Me now. Embrace Me now. Do not be shy. Rush into My arms. Herein lies Eternity. If space existed in Eternity, We we could say that I have made a place for you forevermore. Heaven is Eternity, and in Eternity, We abide as One Wonderful Love. Here is where We are always. Heavenletters™ bringt die Erde näher zum Himmel. Lasst euer Denken und übermäßiges Denken nicht ein Hindernis sein. Lasst eure Gedanken ein Segen sein, einen nach dem anderen, wie wunderschöne Prinzessinnen. Segnet euer Leben und das Leben derer um euch herum. So werdet ihr ein Segen. Ihr seid mein Segen, euch selbst gegeben und der Welt. Ihr kommt vom Himmel, und ihr kehrt wieder zum Himmel zurück. Trotz eures Durcheinanders habt ihr den Himmel nie verlassen. Ihr gehört in den Himmel. Trotz allem ist der Himmel bei euch. Lasst ab von der Angst. Ihr seid nicht die Gefangenen der Angst, es sei denn, ihr gebt euer Einverständnis. Ihr könnt aufhören, mit der Angst einen Zweikampf zu führen. Wenn ihr die Furcht vor der Angst mit euch herumtragt, bindet ihr eure Hände auf euren Rücken. Ihr lasst euch von der Angst bewegungsunfähig machen. Verweist die Angst auf ihren Platz. Viele Meiner Kinder befinden sich auf die eine oder andere Art im Griff der Angst, wo doch das Leben – euer Leben – nicht dafür angelegt ist, furchterregend zu sein. Ihr braucht nicht mit der Furcht vor der Angst zu leben. Es ist nicht lebenswichtig, sich Angst einzubilden. Ihr habt die Möglichkeit, die Angst auf ihren Platz zu verweisen. Grübelt mehr über Unvergänglichkeit, als ihr über gekappte Endlichkeiten grübelt. Nicht länger obliegt es euch, Angst davor zu haben, falsch verstanden zu werden, noch habt ihr Peinlichkeit länger zu fürchten. Ihr müsst nicht fürchten, am Leben zu sein. Ihr könnt mit der Liebe und der Liebe allein fließen. Liebe hat nichts Gleichwertiges. Ihr habt die Fähigkeit, wie ein Meister zu lieben. Liebe ist innerhalb eurer Reichweite. Meine Geliebten, was können Wir tun, um die Angst für euch auszuschalten und die Liebe einzuschalten? Die Spur der Angst hat eine Furche in euer Herz gezogen. Kommt mit Mir zu den fruchtbaren Feldern und Wir werden tanzen. Wie kam es, dass Meine Kinder der Angst erlaubten, solch ein Schreckgespenst zu werden? Sagt „Buh” zur Angst. Ihr, die ihr Angst vor der Angst habt, seid ein zu großer Fürsprecher davon gewesen. Seit mit euch harmonisch. Steht euch bei, mehr, als ihr euch fürchtet vor der Angst. Überquert die Straße indem ihr in beide Richtungen blickt. Erlaubt euch zu leben, indem ihr nach oben schaut. Angst ist eine Mücke. Ihr seid größer als eine Mücke. Ich bezeuge euch als größer als eine Mücke. Stellt euch vor, Ich platziere einen Sheriffstern an euch. Ich frage euch: Braucht ihr wirklich ein Abzeichen und Cowboy-Stiefel um das Fortschreiten der Angst zu inhaftieren? Nein, braucht ihr nicht. Angst ist ein Verbrecher. Schaut der Angst in die Augen. Sinnt nicht nach über Angst. Badet euch nicht in Angst. Trennt die Angst im Fanggehege ab. Lasst uns über den Stand der Liebe sprechen. Liebe anstatt Angst. Liebe ist mächtig, wohingegen Angst herumschleicht. Hurra für die Liebe, die alle fließenden Wasser der Welt vereinigt. Einheit ist wahr. Angst ist ein Faulpelz. Stimmt für die Liebe. Umarmt die Liebe. Angst geht bis zur Gemeinheit. Genug von der Hauptbeschäftigung mit der Angst. Legt Angst beiseite. Lasst uns die Angst im Namen der Liebe ausräumen. Die Angst nimmt. Liebe gibt. Gebt Liebe. Sendet Liebe. Hegt und pflegt Liebe. Liebe ist von gutem Wert. Die Liebe wird euch tragen. Die Liebe wird den Tag tragen. In Wahrheit ist es die Liebe, die euch die Berge hoch und runterträgt. Liebe poliert euch. Liebe erhebt euch. Liebe erhebt die Welt. Es gibt nichts als Liebe in der ganzen Welt. Liebe ist Einheit, und Einheit ist Wahres Dasein. Denkt daran, ihr seid Einheit. Ihr seid Meine Einheit. Einheit kann nicht aufgeteilt werden. Das Bewusstsein von der Einheit stellt euch in eure Mitte, und wie ihr in eurer Mitte sein wollt. Seid zusammen mit Mir in eurer Mitte. Wisst, dass ich euch halte. Ihr könnt nur mit Mir landen. Kommt jetzt zu Mir. Umarmt Mich jetzt. Seid nicht zaghaft. Stürzt in Meine Arme. Hierin liegt die Ewigkeit. Wenn Raum in der Ewigkeit existiert, könnten Wir sagen, dass Ich einen Platz für euch gemacht habe für alle Ewigkeit. Der Himmel ist Ewigkeit, und in Ewigkeit verweilen Wir als die Eine Wundervolle Liebe. Hier ist es, wo Wir für immer sind. There is a great mystery in the Universe, and the mystery is that there is something, rather than nothing – that something exists. In the universe there is life, light, and consciousness; life dances and moves. How has this all come about? It is important that you first marvel at the mystery of life, light, and consciousness. These elements cannot exist in isolation; where there is life there is also light and consciousness. Light makes it so that life becomes manifest. In the light is a driving force that causes consciousness to be raised higher, until it comes to a point where it can reflect upon itself, become self-conscious. When consciousness gets to that point, life is able to become aware and capable of giving form to itself. Life can choose and progress, and then there is such a thing as the formation of an I, of a self. This is the birth of the soul. But I shall take a step back and describe the principles of life, light, and consciousness. Where do they come from? What is the origin of life? In the lap of the Cosmos is a void, an emptiness that breathes: a fullness in the silence. That is the origin of life, and you can connect with that origin by breathing silently. When you breathe in silence and stillness, and bring your attention to the in- and out-breath, you connect with the primal source of Being. This silent beginning, the basis of all life, continues to be present in each one of you. It lives and breathes within you regardless of what you do or not do. The origin, the beginning – the void that is there from which everything is born – still exists within you. To realize that sets you free, as well as releases the limits of who you are. It reveals the relative, dual nature of your individuality. In that initial void, in that space, there is not yet individuality, there is no unique soul. There is pure Isness or Beingness. Feel the mystery of this Beingness; It surrounds everything. Without this Ground of Being, you do not exist; It permeates and nurtures you. What is It? In this silence lives the breath of God. God is indeterminate, undefined, and open-ended. It is formless: that which is not individualized. God is aware of everything, but in this great field of limitless awareness that is God, there are pockets, or hollows, in which a lack of awareness is predominate. That lack of awareness makes it possible for life to grow and flourish there. The soul is drawn to lose her way in the hollows of awareness, at least in part. This is necessary on the path of the soul because it is important that she reach out and, in full freedom, return to the divine awareness, to the omniscience, to the all-knowing. That is why evil, that which is considered “bad”, is to be a part of her journey. When the soul reaches out toward the Beginning, toward the essence of who she is, toward the God in herself, it is precisely in that void – the unlimited and all-embracing nature of God’s Being – that she experiences her liberation. The soul has then come Home. Light and dark are elements that belong to the journey of the soul. The play of light and dark is created because God withdraws Its awareness, or hides it, in certain parts of the Cosmos, and there gives free play to the soul. The creation of the soul is actually a contraction, a narrowing of awareness. But that process has a purpose, because it is precisely in that contraction that there is a movement, a process of realization which is important and valuable, and it is that process which creates light. Light emerges where the individualized awareness opens toward the divine source. The stronger the light becomes, the more awareness grows and the more the connection to the One is felt, contraction then gradually opens to full awareness. This interplay of contraction and omniscience is the essence of Creation. In that dance between both poles, God reaches Its greatest expression. Saul via John Smallman: The Nagging Feeling That There Must Be More to Life. The Easter celebration is a reminder of your oneness with God, and therefore with one another, an annual commemoration of the Resurrection which was a major step in moving all of humanity forward toward awakening from the dream of separation. The Resurrection brought into humanity’s awareness the possibility of remembering the knowledge, hidden for eons beneath a cloak or veil of indifference and self-imposed ignorance, that you are One with God. That memory is now arising into humanity’s collective consciousness and leading to an intense collective desire to return to Reality, to awaken from the dream or nightmare in which you have been ensconced since the moment you chose to experience separation from your divine Source. Truly that moment of choice was but a moment ago, but the environment of separation you invented in which to play your games had rules that had to be observed or, if you prefer, natural laws that appeared to control the environment that the game had established, and one of those was linear time. So the brief moment that has passed since you chose to separate from God appears to have been going on for vast eons. Most of you feel as though you always have been and always will be separate individual beings – in fact for most of you even the thought of being one with millions or billions of others seems quite repulsive. Meanwhile a small minority of humans, who have remembered their true state of oneness, are attempting to bring this memory into the collective awareness. Modern scientific studies are also confirming the connectedness of absolutely everything, that there truly is no separation. At the same time the game that is the illusion seems to demonstrate very clearly to you the reality of separation as humanity engages in a multitude of conflicts of intellectually or physically violent natures – religious, political, economic, racial, cultural, and, of course, military – that causes untold suffering to many just to prove that one side is right and that the other side, those in opposition, are wrong. And, of course, the whole point of constructing the illusion was to make it seem utterly real, and linear time, with its unalterable one way progression, seems to confirm that reality. You make plans all the time – plans for your career, plans for intimate relationships, plans for your children, plans for your business, plans to manipulate others, plans for your vacations, plans for your retirement – all the time looking to the future and not seeing the now moment in which all occurs. And frequently, as you get older, you begin to feel that life has passed you by, that you have missed something important, and you most certainly have! But even that is often not apparent and so you engage in a new relationship, or go back to school to train for a new career to alleviate the nagging feeling that there must be more to life than your experiences demonstrate. This nagging feeling that life has passed you by is a call from your higher Self, the Real You, attempting to remind you of your purpose, of why you incarnated on Earth at this point in your evolution. Some of you try to understand what is disturbing you by going into therapy, and that can help if you can find a therapist who deals with spiritual awakening. But what you are actually being called to do is to do nothing! The call is from within asking you to go within and be quiet and allow yourself to open to and own your spiritual nature, who you really are. It means dropping the masks that you present to others, even to your nearest and dearest, the masks you present to the world to hide your feelings of inadequacy, of not being good enough. But generally what is suggested is a twenty minute period of sitting quietly each day just watching your thoughts and not engaging with them. That is indeed good, but the nagging sensation will remain if that is all you do. So instead of setting a time limit for your meditative or contemplative practice, just sit until your thoughts start to dissolve, until your mind becomes quieter, almost empty, and then you will feel the loving Presence of the Real You. When that happens you can ask Yourself a question about the nagging sense of dissatisfaction that you are experiencing and which, if you are honest with yourselves, frightens you. Then if you can continue to sit quietly for a little longer and offer Yourself thanks for listening your peace will intensify. Later, an answer to your question may arise or a situation may occur that provides an answer. Very likely it will be an unexpected answer, an answer that is wise and loving because it comes from the Real You, the You that is eternally One with God. It will undoubtedly surprise you, but when you experience that kind of wise and informed guidance or answer a few times you will come to trust yourself to trust Yourself, and your life will flow more smoothly and peacefully. So avail of this inner wisdom that is always with you, and go within daily to practice listening and enjoy the results. It’s time for souls to break free of denser energies and achieve liftoff by aligning with the vibration of unconditional love, the highest vibration in the universe. It’s through love that we chart a course in life that allows us to live more fully in the new time on planet Earth. The new time is here. It’s a location alive and well in its own timeline. We’re free at any moment to step into the new time and begin living the visions we’ve experienced time and again. Many of you have experienced periods of heightened perception, expanded consciousness and peak states. These moments keep you moving forward on your path as you seek to experience more high-vibrational frequencies. These higher frequencies are your natural state. These are the frequencies where your higher self exists. It’s not that your higher self resides in a remote, lofty location in consciousness, but that you exist in isolation and separation – a condition derived from physical-based programming, mind control and parasitical influences. The moment we adopt physical-based perceptions (what we see is all there is) we are weakened, our frequency is lowered and we are easier prey for parasitical thought viruses that convince us we are small, separate, weak, victimized, poor, and dis-empowered – all variations on the same theme included in the programming of free-floating thought viruses. These keep us enslaved in a world of seeming endless pitfalls where we are shut off from our intuitive knowing, our impeccable guidance, and the synchronistic flow that comes from constant telepathic communion with our higher self. You are able to transcend anything that pulls you down, holds you back or limits your connection with your soul. History is full of those who have accomplished amazing feats. These come from communion with one’s soul. When you move through life awake and aware, you naturally make choices that lead you to experience high-vibrational realities. It’s through awareness and conscious choices that you are able to exist along timelines of the New Earth. You came here with a blueprint that reflected your lesson format, the karma you came here to heal and resolve, and visions for what you will do in this lifetime. You brought with you gifts, talents and abilities. You came here to share these and to continue to hone them. You came here to once again face down limitations and programming and step beyond a purely physical-based perspective so you can move through your earthly existence here as spirit incarnated on earth. It is through the growth of your consciousness that you help unite heaven and earth. You came here to join with others to anchor the higher frequencies of love to the earth plane in order to help shift all life and all consciousness to the next level. The New Earth is being anchored into collective consciousness by a record number of souls incarnating who hold the blueprint to transcend the limiting beliefs of physical-based realities while in physical form. These souls shine a bright light on the Earth plane. They bring awareness to old, outdated beliefs and ways of being. Human rights, animal rights, and care of the environment are at the top of their agenda for this time frame. Understanding of these issues will undergo quantum leaps as higher frequencies of love are anchored to the Earth plane. This has been taking place in recent decades and is now accelerating. You might point to the brutality and violence that is still prevalent on planet Earth. It seems that as the vibration of love expands and casts a wider influence so does the frequency of hatred and abuse. This is the hastening of the shadow, the resistance, the obstacle field that naturally arises in response to higher frequencies. Love is the strongest and most powerful force on the planet. As you remain in the frequency of love, you help anchor higher and more powerful frequencies to the Earth plane. These frequencies trump all lower vibrations. ©2010-2016 DL Zeta, Celestial Vision, All Rights Reserved http://www.celestialvision.org These messages are intended to be shared. You are welcome to share and distribute this message with others as you feel guided to do so. Please be sure to include the author & source website link. Sometimes, the hidden, the unacknowledged hurts are the worst kind. These are the kind that you bury, deep within yourself, or that a society pretends never happened. We hear stories of these every day–massive cover-ups of the truth of crimes being revealed, people coming forth after decades of silence, the relief that one feels when one can finally talk about something he or she experienced. If you’ve ever been in this situation, where something happened to you, and you were forced to keep it silent, you’ll understand what I’m talking about here. Having others know, to see, to understand alone are acts of tremendous healing power. And it is in this topic where we continue our series on land healing, and the work we can do as druids and other earth-based spiritual practitioners, permaculturists, and those who fight for a better today and tomorrow. I look at the process I’m following in this moment. Here it is: Everything active I’m bringing to stillness and everything still I’m making active. If it doesn’t survive that process, it wasn’t eternal. I see my inner space as a wonderful canvas to paint on, the ultimate paradise to explore, the treasure house of love, bliss and ecstacy, without at least a little taste of which life loses its flavor. Predominantly I explore this inner space by feeling into it. An intellectual discussion of it is like eating dry, flavorless oats for me right now. An experiential discussion would have to include love and bliss to interest me at this moment. I’m going higher and deeper into the Here and Now of love and bliss. I have to add that I’ve become far more meditative than I was. I don’t know how this will work after the Reval. It probably won’t. These are my last few days of peace, in all likelihood. And I’m using them to go higher and deeper into my Here and Now. The world is moving into the process of renewal and regeneration. This can be readily seen in world events. All the outworn systems that do not serve the highest good of all are being highlighted through events that are taking place. It is difficult for humanity to comprehend that a higher law is in force when all that they see is chaos and a world gone mad. This is the time for which all Lightworkers of the world have been incarnated upon this planet. Your Light is making a difference! Do not become discouraged by what you view through the lens of the media, there is more at work in the higher perspective than is presented to you. Within you there is much recalibration taking place. Like it or not, your physical vehicles are being transformed into higher versions of more rarefied form. Most of you are by now intimately experiencing waves of heat throughout your spines at regular intervals. When this happens, you know that your DNA strands are being activated and opened up. There are many strange symptoms that are being experienced by many of you and this will continue to occur. Some of you are experiencing anxiety without knowing the cause. This is in relation to the fact that you are heading into unknown territory and you do not know what it holds for you. Be at peace and ride these waves as they come, you will emerge victorious! You are not alone in this transformation; the entire world is in the throes of great change. It begins in the minute cells of every living thing upon the planet and it is being felt internally. It is important as we have stressed many times before, to connect to the Earth each day. Stand upon the ground in your bare feet and take a few moments to breathe deep rhythmic breaths and give thanks to the Earth for sustaining and protecting you. This is something that humanity as a whole needs to become more aware of, for it is the Earth your planet that is your home. There is only one Earth and it needs acknowledgement and love from its inhabitants. Each day ask your Divine Essence to shift your consciousness in order that you see your individual circumstances through the higher perspective. A higher connection to the divinity within you can make your way through life more peaceful and harmonious. This also develops the qualities of trust and courage within you. Trust that all that is experienced by you and your loved ones are happening for a higher reason and purpose. If we could share one most important piece of advice at this moment in time, it would be that you begin the daily practice of blessing. Bless every circumstance that you find yourself in and look within for the gift it contains. Bless the loved ones with whom you are experiencing challenges, for they are being the courageous souls who agreed to play this role in order that you learn your soul lessons and grow beyond them. They took this on because of their love for you. Bless every bird, every animal, every tree, every plant, and living thing within your immediate environment. Realize that everything you see is the Source of All That Is in physical manifestation. This is practicing the highest form of love in action and it is what is needed now. Do not allow distractions to take you away from this practice. Realize and become aware of the cycles that are occurring on the planetary and seasonal level and work in unison with them. You are an integral part with all of it and your love helps to maintain and sustain it. In everything that occurs, choose love as your response. In addition to expanding our outlook, we can break through to new levels of experience. One way to do that is to open our hearts so that love can flow freely. This heart-opening is the brass ring, for me. We can break through on all our inhibitions, reservations, wounded spots. We can push back the barriers and frontiers we’ve erected to protect ourselves. This is the time to do it. At no other time will conditions be better to have us push back against our the results of our pwn suppression. In addition to breaking through to new levels of experience, we can also take committed action. Step out into the world. Take on a piece of the world’s unworkability and fix it. Address an injustice in the world – from a place of calmness, centeredness, and love. Avoid making anyone wrong: That should prove challenging. I have at times felt I could mentally “throw my arms around” a subject, take an umbrageous view, see the whole picture in a flash. At other times I found I could create a wider context to hold things in. At these moments, I felt transformation from a lower to a higher state of consciousness (I hesitate to say “dimension”). Typically I went from unconscious to conscious awareness, from unexperienced experience to experienced experience, as Werner Erhard has described it. These were “peak moments” and they passed within a short period of time. In addition to committed action, we can also commit to being transparent, as another ongoing ticket to expansion. The more we peel the masks away, come out from hiding, and reveal ourselves, the better life becomes in every way. Whoever had us, as kids, stop sharing with each other didn’t do us a favor and now it’s time to go a different route. In addition to transparency, we can process the obstacles to expansion – our core issues and conditioning. When we hit an obstacle, like an upset, we can recognize that we’ve triggered a core issue. Our upset probably has little or nothing to do with the person in front of us. It probably traces back to childhood. We need to get to the bottom of it and complete our experience of it. And then let it go. To complete our upsets, we need to stand in the face of them, not run from them. We need to become masters of them instead of allowing them to master us. Tell the truth deeply. Come clean. Own our own stuff. Drop any baggage we can. We can emerge. Come out. Break through. There are so many ways to expand. Using all of them, we’re not just standing in the face of change. We’re expanding in the face of it. All of these then are ways of expansion, transformation, emergence. All of these are excellent adaptive tools in the face of change. And all of them contribute to the overall Ascension of the planet, which is what we came to help with. Working out in these areas, I believe, generates light. That’s what the Company of Heaven seems to be saying. 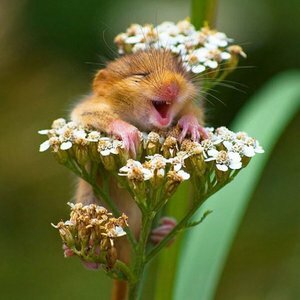 Matthew Ward often says if we could see what he sees, we’d be overjoyed: Lightworkers are generating a great deal of light, apparently. There are so many ways to expand and now’s the time to use them – if we want to leaven the loaf that Ascension is. Put another way, if we want to increase the number of people who awaken to Ascension, which is what we came to do, then we need to master expanding as one way of adapting to the change that we’re all in. After that, we need to master change itself – or, more precisely, our response to change. We’ve spent years clearing our emotional upsets and issues to be ready to respond well at this time. Now our DNA is activating. Our crystal body is forming. Gamma waves are hitting us. The pace of spiritual change is very gradually picking up. Now’s the time for our discernment to kick in, our resolve, our sense of mission. Standing in the center, revealing ourselves and speaking the language of committed action, owning our upsets and processing them, we do what’s needed to expand, emerge, break through. Or we do what’s needed to nurture, nourish, and love. We do this on behalf of those ascending, including ourselves. Two eclipses this month stirred up the places within you that are ready to change. Each eclipse is a turning point in your life that provides access to new potential. They are known as “cosmic wildcards” that offer a “break to realign.” These Eclipse portals may lead to uncomfortable feelings that are natural as you open to your process of integrating those areas of your life that will be up for review. Eclipses can be powerfully unsettling emotionally as the stable foundations we have set up for our lives appear to be dismantled. A Soul Alignment Reading or Light Activation Session will assist you in accessing the opportunities available as you look at your life from new perspectives. Allow Shanta to provide helpful assistance as you move through the eclipse cycles and the changes they are stimulating within your life. Enjoy $20 off during the month of March. Sign up for a Soul Alignment Reading or Light Activation Session with Shanta and receive $20 off! Meditation to Recharge Your Energy System! 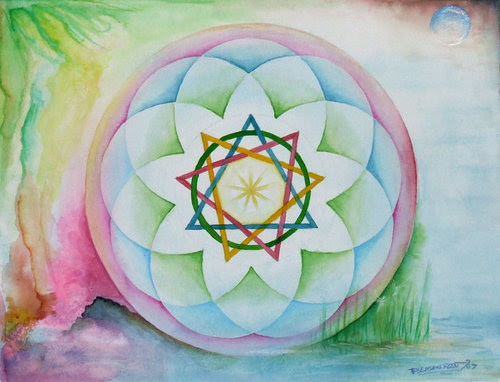 In this special meditation, you are invited into an inner circle of Lightworkers to recharge your energy system and bring new levels of Balance and Alignment to you from the Archangels.To assist you in feeling more confidence and strength, a powerful new level of Unconditional Love will be activated by the sacred geometry of the Torus in the magnetic field around your heart. The Angels then direct this empowered Light through every cell of your body as a catalytic force for Love and Healing. The Archangels initiate you into the sacred breath called the Microcosmic Current that allows you to recirculate your energy on your own, keeping it moving in positive ways to enrich and empower your daily life. This meditation can help you stay in alignment between Heaven and Earth through your physical body so you can more gracefully become a Blended Being. Available here by donation. Please help us spread the word!